Can you improve upon perfection? That’s a question that has plagued designers and carpenters for ages. The real question is, “How do you define perfection?” You may have an established design that is tried, true and beloved, but that doesn’t mean there can’t be room for improvement. Take the kitchen cabinet, for instance. Sure, there are the basic components of doors, drawers, wood, metal, and hinges, but where can it go from there? Where indeed…? Convenience is the inspiration for invention. And some of the new features implemented into kitchen cabinets actually manage to make our work in the kitchen just a little easier. Primarily, they aid greatly in organization. Kitchen drawers and cabinets, after all, are perhaps the most likely place in the home to play host to clutter and disarray. Possibly the most exciting innovation is the development of fold out storage. Folding racks done in a matching finish are mounted upon ball bearing slides, so they roll out with ease. Their efficient design manages to eliminate wasted space by making use of the dark corners that are usually out of reach, instead making all of the contents easily accessible. When considering modern uses one must be mindful of recycling. 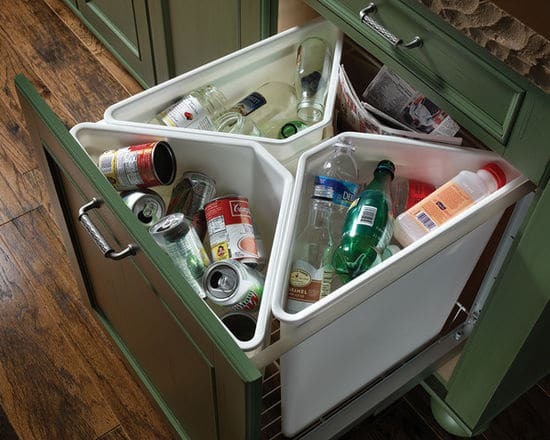 That’s why custom recycling centers have emerged as a popular new cabinetry option. No longer do you need to stack recycling bins by the door. That unseemliness is unnecessary thanks to the revolving rack that you can install into the space usually reserved for a base corner cabinet. It can accommodate three small recycling bins and allow you to be inconspicuously “green”. In the “why didn’t they think of this before?” category, are the lift-up cabinet doors. Okay, sure, you’ve seen variations of these in the past, but the inclusion into an average home’s kitchen is surely something new. It’s always fun to install new hinges, but what if you skewed your perspective? Lift-up cabinet doors are the result of a fresh look at an old standard. Gone are the days of bumping wood when more than one cabinet is open. But what’s really exciting is the greater ease of which you may access everything within! It’s probably safe to assume that every kitchen has a cookbook stored away somewhere, some hopelessly hidden more than others. But with a Cookbook Recipe organizer, they are not only visibly stored – and out of the way – but they are actually attractively displayed in their own cabinet rack, safe from exposure to splatters and water damage. Ok, so there just isn’t enough room for a walk-in pantry, but what about a pull-out one? Concealed behind a cabinet door, the options are endless. You can emulate a pantry with drawers that are comprised of baskets or wire racks. It can be fully customizable. 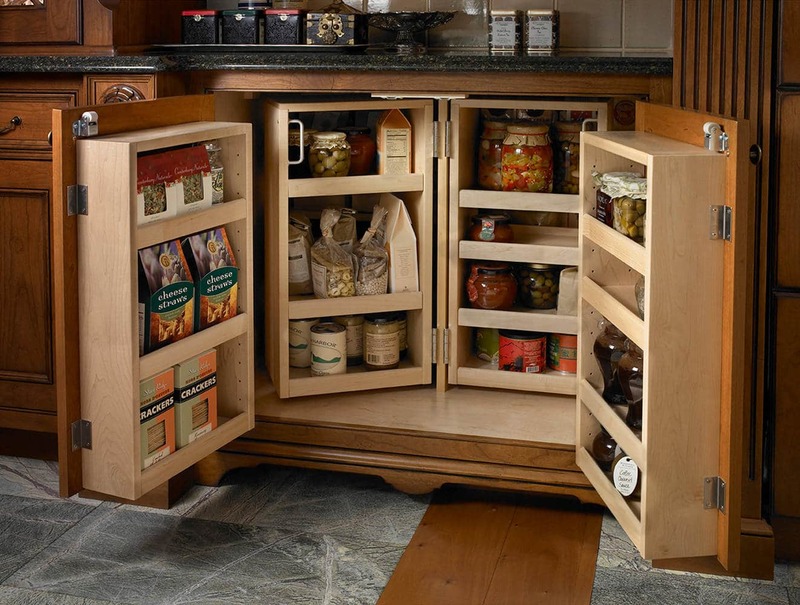 A popular option that is gaining traction is the use of a full length tall pull-out pantry that is built to include row after row of storage possibilities, all mobile thanks to full-extension glides. Another neat innovation is the conversion of an existing cabinet into an Appliance Garage. By installing pull-out shelves for quick and easy access you also serve to conserve space by freeing up the countertop and preventing appliances from otherwise being randomly strewn about. 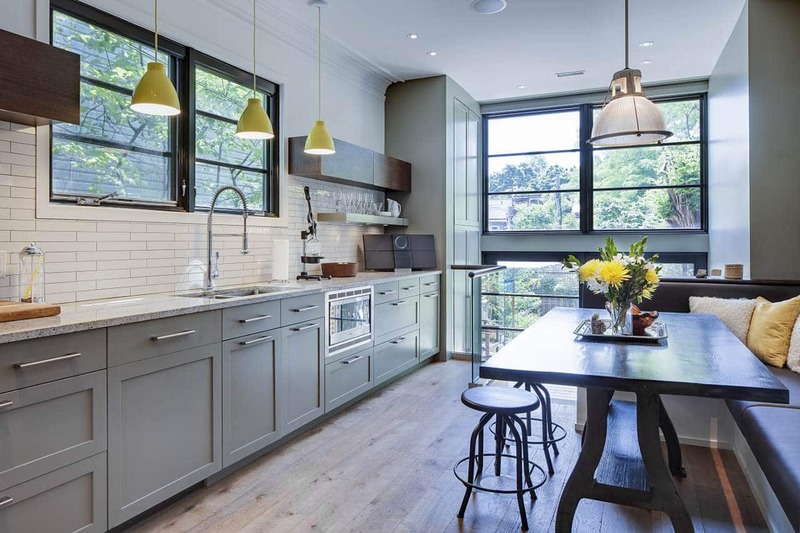 Taking an upper cabinet and extending it down to the counter creates a perfect nook for the appliances, which are concealed by what is best described as a mini garage door. It’s a perfect option for use of a corner as virtually no space is wasted. And what’s more progressive than the assistance of drawers that are self-closing? Plus, you can kiss the shock of sudden noises goodbye. The loud noise of slamming drawers is a thing of the past. Now, just a gentle nudge starts the drawer on its own passage back within the cabinet. It may seem insignificant, but it’s really quite cool and civilized! Our last entry is also one that seems to lay the groundwork for endless innovation in the future, despite not being generally associated with the kitchen until now. It comes in the unlikely form of an electric charging station. Currently it may seem like a modern luxury, but each passing day reveals it to be a necessity. They’re appearing in kitchens everywhere. You’ve probably already seen them mounted in desks, now they are being concealed in cabinets, as well. Strategically placed and you have your phone upright on the charger displaying the recipe of your choice, a cinch to engage at eye level for a multitude of uses. Sure kitchen cabinetry has come a long way but the fact is it hasn’t stopped changing, nor will it ever. The basic function may remain the same, but developments and improvements will never cease to be added, and that’s a good thing. 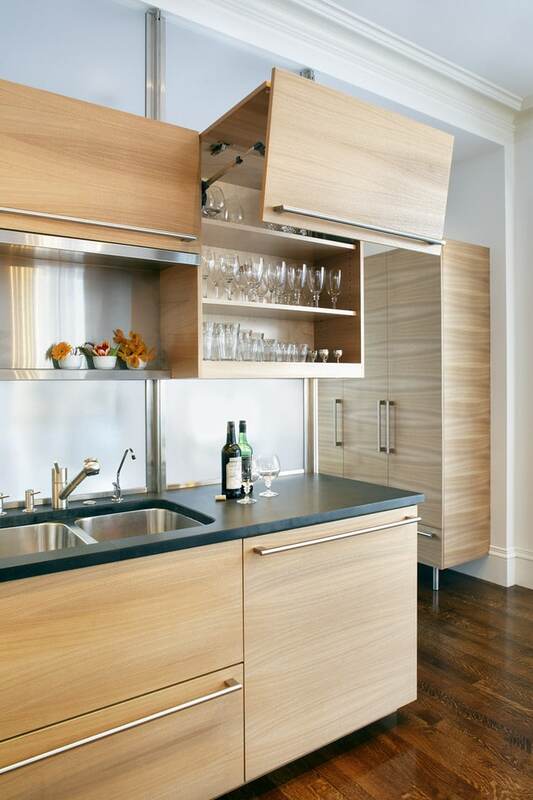 What innovations do you foresee potentially revolutionizing the world of kitchen cabinets?